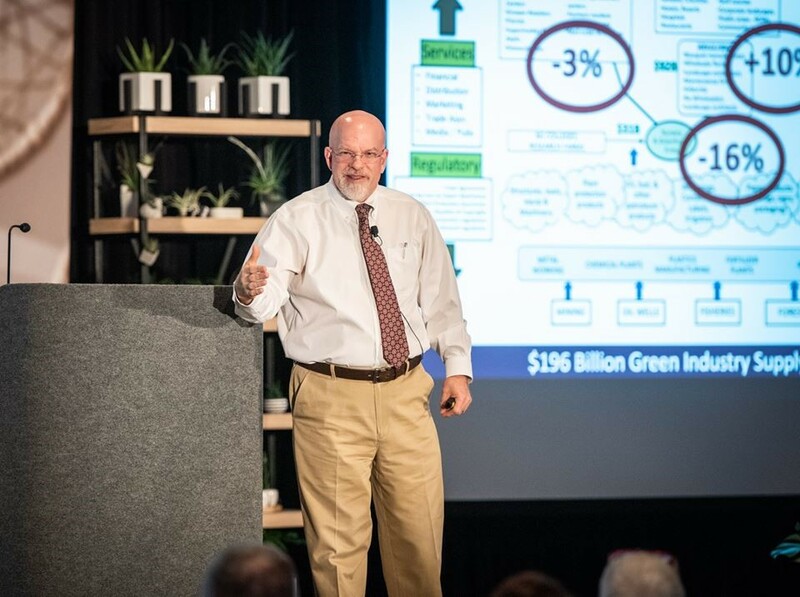 With the theme “Are You in?” at the 2019 Tropical Plant International Expo (TPIE), the National Horticulture Foundation (NHF) was “IN,” present and positioned to tell its story! 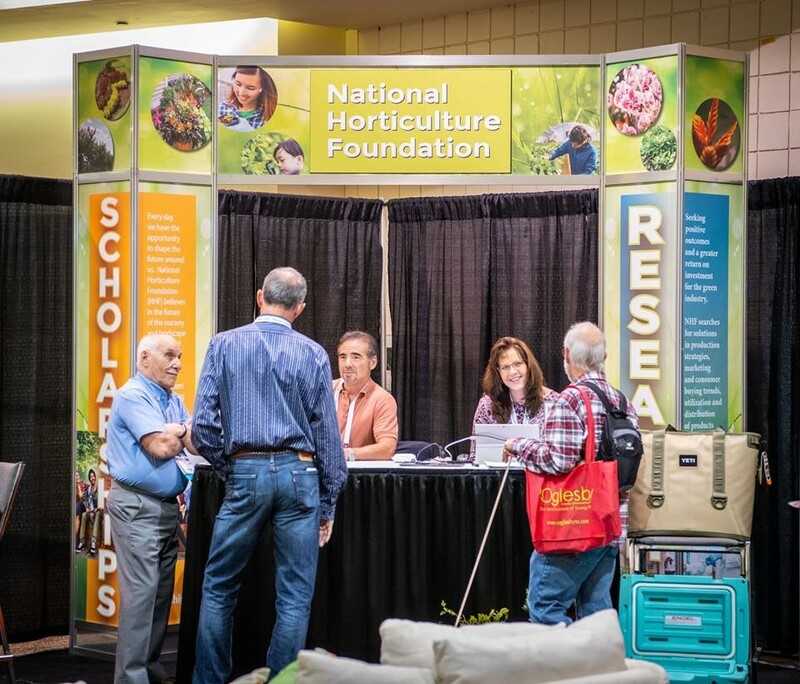 From actively selling raffle tickets at the NHF booth, to Charlie Hall’s presentation and finishing with NHF’s annual fundraising reception, NHF board members took every opportunity to share their mission of supporting both industry research and education. 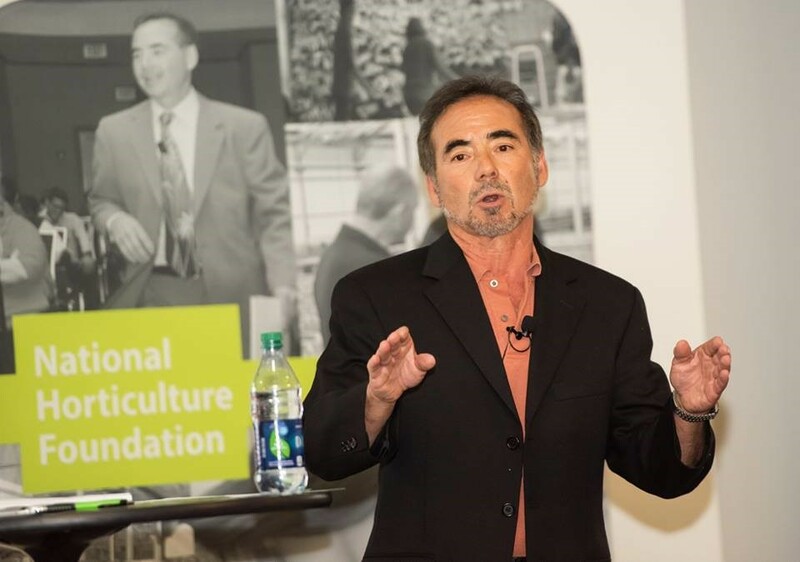 Economist Charlie Hall, Ph.D, presented TPIE’s Elevating Expectations session sponsored by NHF, ‘The Forecast for 2019 - Bright Skies or Storm Clouds?’ In his presentation, Hall, who serves as Ellison Chair in Int'l Floriculture for the Dept. of Horticultural Sciences at Texas A&M University, shared his recession outlook, highlighting an overall favorable market to sell in 2019, but also cautioned increased costs due to trade and inflationary effects. Hall implored green industry firms to monitor contingencies closely (e.g. the government shutdown, trade war effects, interest rate changes, etc.) and begin contingency planning for the impending downturn when it does occur. There is a 50 percent chance of a recession for 2020 and that prediction goes up to 80 percent in 2021, according to Hall. Being prepared is good advice. NHF President David Liu, Foliage Design Systems, served as host for the NHF’s annual fundraising reception. It was an evening of celebrating students and thanking NHF’s dedicated endowment holders for their continued support. The reception is always a great opportunity to recognize those who have contributed to the Foundation’s portfolio over the years and share the message of NHF’s annual support for both scholarships and research projects. More than $39,000 was raised in contributions, pledges and sale of the annual raffle tickets. Virginia Frazier, executive director of CPI, served as the reception’s guest speaker to share with attendees all of the exciting things happening with University of Florida’s Collegiate Plant Initiative (CPI). Virginia has played an integral part in the success of this program from writing grants to the development of CPI’s strategic and business plans. NHF is proud to provide funding for the University of Florida’s Collegiate Plant Initiative, a student-run nonprofit organization at the University of Florida inspired by an introductory horticulture class taught by Dr. David Clark called Plants, Gardening, and You (PG&Y). NHF welcomed 31 UF students to the NHF reception. Steadfast, in keeping the scholarship program strong, NHF will continue to support young people pursuing a career in the nursery and landscape industry. In addition, NHF looks for ways to support educational initiatives such as UF’s Environmental Horticulture Club’s international trip. Along with funds earned through plant sales and club activities, NHF provides $5,000 to the club to help offset the cost. Through the years, more than $425,000 has supported more than 300 students who have advanced their education with the help of the NHF.